If you have applied for a job with responsibilities such as drawing conclusions from financial results or monitoring the progress of certain metrics, there is every chance you will be asked to take a numerical reasoning test. Developed during the 1980s thanks to the pioneering work of psychologists such as P.Kline, numerical reasoning tests are used to measure an individual’s ability to interpret and analyse data presented in graphs, tables, and charts. Although the benefits for businesses are obvious, numerical reasoning tests can also help job applicants prepare for the world of employment and improve on areas where their skills may be lacking. So, in order for you to secure that dream position or enhance your data handling abilities, Skillsarena has come up with the following tips and tricks on how to pass numerical reasoning tests. If you are applying for a job involving numbers, your ability to add, subtract, multiply, and divide is probably fairly good already. However, it never hurts to go back and master basic mathematical concepts that can be reviewed and memorised easily. Don’t forget about things like percentages and ratios either. Unlike other mathematical assessments, numerical reasoning tests can be completed with the assistance of a calculator. Even so, it helps if you know how to use one for working out things like percentages or lengthy calculations. So, know where each button is and what it does to sharpen up your calculator skills. An incredibly common cause of getting something wrong is not reading or understanding the question and instructions carefully. This is something that every meticulous mathematician should know already, but avoid skim reading questions or summarising the instructions during a numerical reasoning test. Several individuals that take numerical reasoning tests will waste time reading and discerning adequate information from complex graphs and tables. For this reason, it helps to refine your ability to interpret data by paying attention to units and scales as well as looking for additional information. There is nothing wrong with asking your potential employer for information about the test. For example, see if you can discover why it is required, how results will be used, whether you will receive feedback, how long it will take, and what skills will be measured. Another reason why you should always read the instructions thoroughly is because psychometric test publishers will often intentionally include traps or trick questions. By way of illustration, a question might ask for an answer ‘to the nearest whole number’ but with decimal numbers as some of the possibilities. 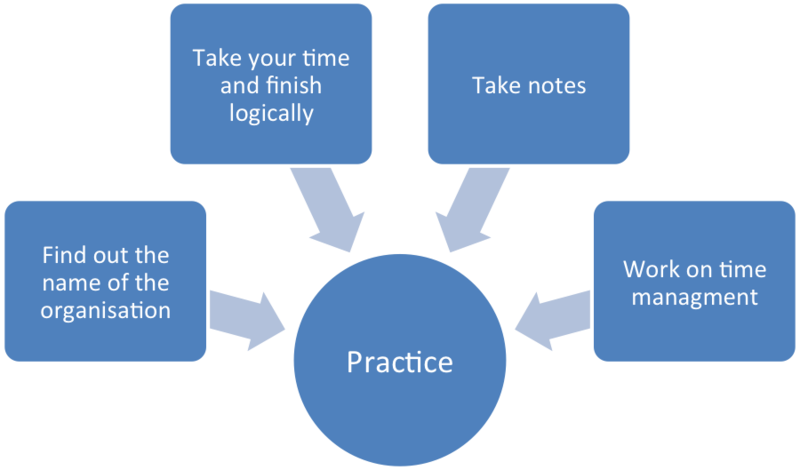 It doesn’t take a genius to know that practice makes perfect and the most effective method of preparation is to regularly take test examples under exam conditions. Along with familiarising yourself with the layout, you can also benefit from increased confidence and decreased anxiety.